Magdalen women should have access to the full range of services currently enjoyed by holders of the Health (Amendment) Act 1996 Card (“the HAA card”). As an integral part of the ex gratia Scheme a card entitling its holder to health services equivalent to those provided to the holder of a HAA card should be given to each of the women who were admitted to and worked in a designated Magdalen laundry. Details of the range, extent and diversity of the community services to be provided to the Magdalen women are described within Appendix G. Primary legislation similar to the Health (Amendment) Act 1996 or a statutory amendment to that Act is required in order to implement this recommendation. (A draft Heads of Bill is provided within Appendix E). While many of the women were in receipt of social welfare and related payments, a very small proportion of the women indicated that they are currently in receipt of the State Pension (Contributory). All of the women who worked within the designated laundries worked without pay, some for very long periods of time. I am recommending that the proposed Scheme should include provisions enabling all of the women who were admitted to and worked in the designated laundries upon reaching pension age, to receive, (from an administrative scheme created for that purpose), the equivalent of the State Pension (Contributory) for the remainder of their lives. The receipt of that benefit will acknowledge the fact that the Magdalen women have worked within (and, arguably to an extent for), the State for a period of time. They are entitled to recognition of that fact. The payments received by the women under this heading should be tax-free and should not be considered “means” for any means-assessed benefit in the State. Magdalen women who are already in receipt of other State benefits (such as a State Widow’s pension, or a State Non Contributory Pension), should not receive that payment in addition to those existing benefits, but rather a payment sufficient to top this up to the amount of the State Contributory Pension. Equally the minimum weekly payment of €100 for those women who have not yet attained State Retirement Age (see 4th Recommendation) is intended to ensure a minimum level of income inclusive of any other State benefits but not in addition to such benefits. This principle should apply equally to other similar circumstances. How that can be achieved is discussed in Chapter 5. I am satisfied that the traumatic effect of admission and incarceration within the designated laundries has had such an adverse effect upon the education, perceived reputation, subsequent health, life, lifestyle, confidence and self esteem of the Magdalen women that those amongst them who were admitted to a designated laundry and worked there for less than 3 months should be paid the sum of €10,000. That payment should be supplemented to reflect the “work undertaken” by the women within the laundries and under this heading I am recommending that women who worked in the laundries for up to 3 months should be paid a further €1,500 so that women who have spent less than 3 months in the laundries will receive €11,500 (€10,000 as a General Payment and €1,500 as an additional payment for work done). The effects upon the education, reputations, health, lives, confidence and self esteem of those who were admitted to and worked in designated laundries for longer periods are likely to have been greater than those who worked for less than 3 months and I am recommending that they should be paid sums of money correspondingly greater, increasing by €1,000 for each month in the laundries up to 5 years and 3 months, and thereafter by €500 per month up to a maximum total payment of €100,000. A significant number of the Magdalen women are frail and some are very vulnerable. Many of them are now at an advanced age. The Commission is concerned to protect, for the benefit of those vulnerable women, the resources which they will acquire when they receive monetary payments arising out of the proposed Scheme. It has been necessary for the Commission to seek to balance the needs and interests of those elderly vulnerable women with the needs and interests of the many other Magdalen women who are younger, healthier, more energetic and more independent. In order to achieve that balance the Commission has taken the view that the needs and interests of the Magdalen women would be best addressed by making any ex gratia payments in excess of €50,000 payable to the women as tax free weekly income for the remainder of their lives. The weekly income payable has been calculated actuarially based upon established life expectancy tables. It continues for life and then ceases. I am recommending that appropriate legislative and other measures should be taken to ensure that all monetary payments (whether paid as “lump sums” or as income) should be exempt from income and other tax and should be exempt from being assessed as “means” in relation to other means tested benefits to which eligible Magdalen women are currently entitled. How that can be achieved is discussed in Chapter 5 herein and I am recommending the inclusion of the Magdalen women within the specific exemptions from income and other taxes described in Chapter 5 in respect of payments made to them under the proposed Scheme. 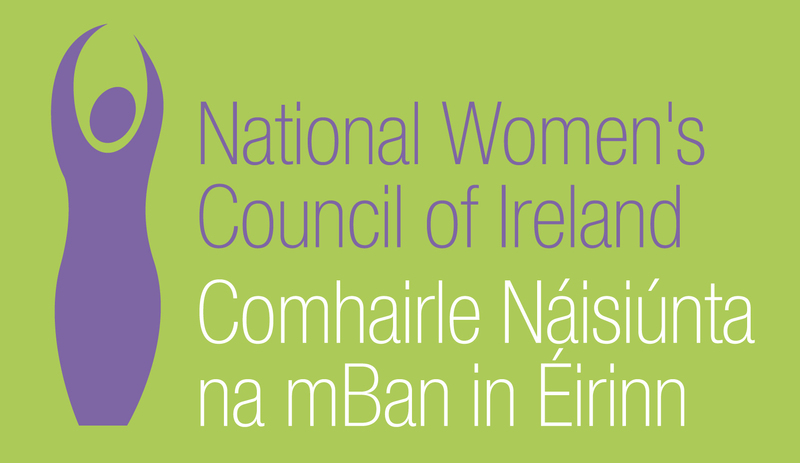 Many of the advocates and representative groups who spoke to the Commission on behalf of the Magdalen women emphasised the need to provide the women with ongoing support and assistance. They, and many of the women in conversation, also spoke of the wish of many women to meet and interact with one another. Some representatives and advocates and some of the women expressed a wish to meet with members of the Religious Orders who were responsible for the management of the designated laundries. Others recommended the establishment of a museum or archival centre or project to honour and commemorate the Magdalen women past and present. There appeared to be a consensus in favour of the creation and maintenance of a small memorial garden within the Sean Mc Dermott Street premises to honour and commemorate the women. All of the above suggestions are consistent with the principles of restorative justice which have influenced and regulated the proposed Scheme. Investigative and other help and assistance in obtaining such sheltered or other housing as they may be entitled to. Investigative and other help and assistance in obtaining such educational assistance as they may be entitled to. Practical and, if necessary professional, assistance to enable those women who wish to do so to meet with those members of the Religious Orders who have similar wishes to meet and interact. Similar practical assistance to meet and interact with other Magdalen women. The acquisition, maintenance and administration of any garden, museum or other form of memorial which the Scheme’s administrator, after consultation with the advisory body or committee referred to below has decided to construct or establish. The Unit should be established after the Scheme’s administrator has first consulted with and received written submissions from an advisory body or committee which should be established by the administrator for that purpose and which should include at least 6 Magdalen women. That body or committee should additionally include at least 2 representatives of eligible women currently living within the UK or elsewhere. A simple appeal process to a single agreed independent person should also be provided to resolve disagreement or dissatisfaction by the advisory body or committee with preliminary decisions made by the Scheme’s administrator in respect of the matters identified above. I am strongly of the opinion and recommend that, if the proposed Scheme is to be successfully implemented, it will be imperative for the Scheme’s administrator to apply a fair and robust eligibility or qualification process so that eligible applicants will have access to institutional and other relevant records and receive such additional and other co-operation and assistance from State and other agencies as they may require in order to enable them to properly record and verify the work which they have done and the periods(s) of time which they have spent within the laundries. Where a written “expression of interest” (or other written application for inclusion within the proposed Scheme) has been provided to the State by or on behalf of a Magdalen woman who was alive on or after the 19th of February 2013 then that woman will be eligible for consideration to be included within the Scheme. Additional income ex gratia payments (payable to women entitled to payments in excess of €50,000) will not accrue to the benefit of the estate of any Magdalen woman. The eligibility or qualification process should provide an appeal procedure for applicants who are dissatisfied with the primary process. I am recommending that they should, therefore, upon agreeing to participate in and accept the benefits of and associated with the Scheme, agree also to waive in writing any further right of action against the State and its agencies arising out of their admission to and work within the designated laundries. The State should provide a draft of an appropriate document of waiver to each woman who applies for inclusion within the Scheme. Because agreement to comply with the terms of such a document will involve the abandonment of a right of access to the courts, each applicant must be advised to take professional legal advice before concluding such an agreement. The cost of such professional legal advice should be borne by the State. The Commission believes that such advice should not be onerous for legal advisors and the State should place an appropriate “cap” upon those costs after such tendering or other process as it deems appropriate. I do not believe that payments made to those Magdalen women in care will or should have an adverse effect on funding received under s.38 or s.39 of the Health Act 2004 but I am aware that under s.10 of the 2004 Act the Minister for Health is entitled to issue “general written directions”5 to the Health Service Executive (“the HSE”). Since the Minister for Health is empowered to direct the HSE (in respect of s.38 or s.39 funding) not to take into account any monies received by individuals or groups such as the Magdalen women so as to reduce the funding that their carers (including Religous Congregations) will receive I am recommending that the Minister should make such a direction in relation to the Magdalen women. The Nursing Homes Support Scheme is a scheme that operates primarily for the benefit of those members of society who are at an advanced age, who may be vulnerable and who may require assistance making important decisions. The provisions of the Nursing Homes Support Scheme Act 2009 (“NHSS Act 2009”) and in particular the provisions concerning the appointment of care representatives will enable a balance to be struck between oversight and supervision on the one hand, and flexibility on the other. I am, therefore, recommending that the scheme established under the NHSS Act 2009 (and in particular the aspects of the scheme that allow for the appointment of certain persons who are bound to act in the best interests of the vulnerable person and who are subject to supervision and accountable to the court for their actions) should be extended and should apply to those women who may benefit under the ex gratia Scheme. The scheme established under the NHSS Act 2009 combines adequate supervision and oversight with flexibility and the scheme should, therefore, be extended to apply to those women who may benefit under the ex gratia Scheme. Details of how this can be achieved can be found in Chapter 6 and in Appendix F.
I do not consider that the enactment of further legislation and the time and expense which disclosure, perusal and investigation of Redress Board Orders, transcripts, and remaining evidence would require is warranted since such measures are very unlikely to provide for the Scheme Administrators evidential or other information which would be of relevance to the proposed Scheme. That is because detailed examination of Redress Board orders, transcripts and other documents is very unlikely to identify and measure that part of an award which has been made because it is “specifically due to the direct transfer of that person from an industrial school to a relevant Laundry and their time or part of their time spent in a Laundry or Laundries”. I am therefore recommending that the Scheme should not seek to investigate or consider this matter further. Since the UK tax and benefit regime is governed and regulated by the UK authorities it is ultimately those authorities who will decide whether payments will be disregarded in the context of either tax or means-tested benefits or both. Dialogue at a political level, where possible, with a view to ensuring certainty on this matter is all that I can recommend. If dialogue at political level confirms that payments into “personal injury trusts” will have no adverse effects upon UK benefits then the Scheme should allow for payments (capped at ST£1000) in respect of the cost of establishing the requisite trust funds.